From my last posting you might have got the idea that the Rieslings of Western Australia (WA) are some kind of weird and (possibly) wonderful freak show, heavy on irony and low on old-fashioned consistency, but this is not true of the majority of the wines as yesterday’s tasting of (mostly) dry Rieslings from the Great Southern region at Frankland Estate proved. In fact, the personalities of the many winemakers who attended (see the picture above) had far more eccentricity to offer than their wines did, and I mean that in the positive sense. You see, if the wines (of any grape variety) from any region are mostly a freak show, then it’s very difficult to figure out what the special character of that place – yes, I’m talking about terroir, or the taste of the place – actually is. Also, fully mastering and perfecting a style of winemaking (any style of winemaking) requires a winemaker to commit to it for a good many years, and this process is greatly assisted if a good number of winemakers in that place simultaneously do that and exchange their experiences. That isn’t some kind of new or radical idea, rather it’s like having many groups of researchers all working on the same scientific problem greatly increases the chances of solving it. Perhaps the Great Southern Riesling producers aren’t yet adequately aware of all that, but all this certainly applies to them. I hope that their awareness of all that was increased by yesterday’s tasting, in which case it had as second important purpose as well as informing me about what’s going on there now. I should point out that this wasn’t the first such tasting of Great Southern Rieslings I’ve attended at Frankland Estate, the first having taken place 15 years ago. I couldn’t help drawing a comparison between the wines then and those yesterday, and the leap in winemaking competence was very considerable. Yesterday there were just a couple of slightly weak wines, and all the rest were at least good, sharing a clarity and expressiveness that enabled the special characteristics of the sub-areas and individual vineyards to shine through. There couldn’t be one special Great Southern character, because the region is about 250 km “long” East-West and about 150 km “wide” from North-South. Distance from the Ocean varies considerably, and since this is a source of cooling sea breezes that’s a major climatic factor. I would say that the wines from the Mount Barker sub-region tend to have the most charming fruit and floral aromas, those from the Porongurup Hills are the most austere and aromatically discreet, with the Frankland River wines being the most racy and brilliant. The Great Southern Rieslings don’t need a lot of alcohol to be “big” wines, and the most intense of them usually weigh in at 11.5% – 12.5% alcohol with few impressive wines dipping below or above those limits. The 2014 wines from Duke’s (particularly the complex and mineral Magpie Hill Reserve), Frankland Estate (austere and powerful) and Plantagenet (still very young, but with wonderful white fruit and flower aromas) stood out. However, Alkoomi (racy and a little wild) and Ferngrove (rich and harmonious) were not far behind. 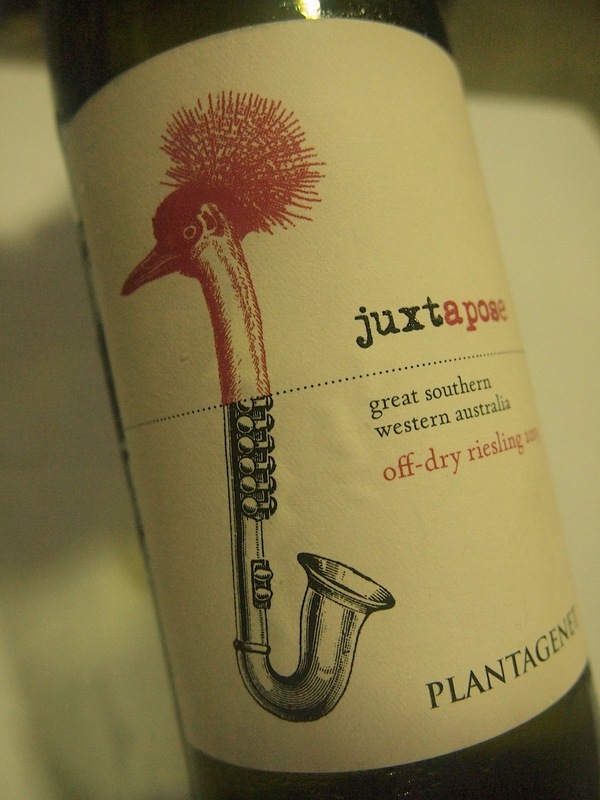 The biggest surprise of the tasting were the new sweet wines of which the “Juxtapose” from Plantagenet stood out with its orange peel and coriander seed character (! ), the 17 grams per liter sweetness barely perceptible. Both the 2014 Botrytis Riesling from Singlefile and the 2009 Botrytis Riesling from Rising Star proved that high-end sweet Rieslings with low alcoholic content can work very well. And I promise you that you don’t need to be an expert to figure this stuff out for yourself, because the wines speak very directly due to the lack of fuzz and funk. The only thing that’s a little hard to understand is why the world hasn’t switched onto these wines already. The small size of most producers is surely only part of the explanation for this. 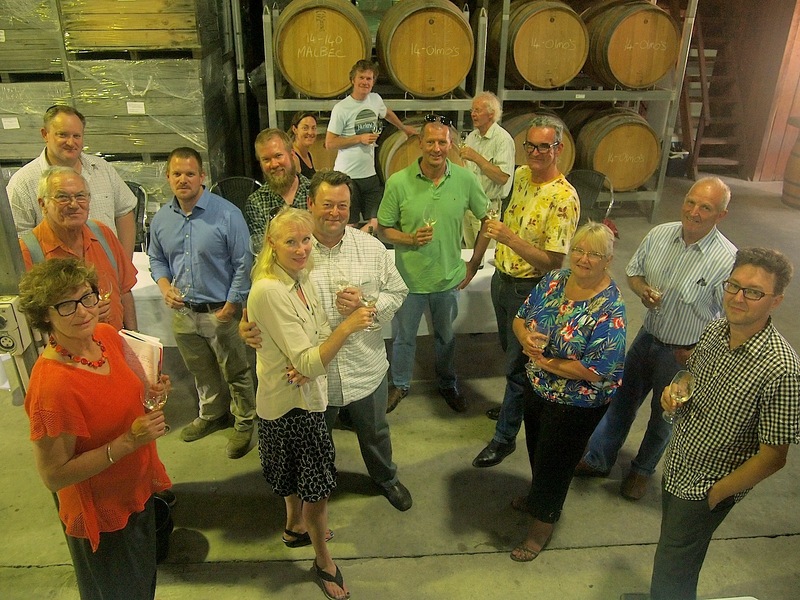 Good to see you last Friday and glad that you were able to take some time to enjoy Rieslings from our part of the world (I’m the guy in the pic in a green polo shirt)! As you know the Great Southern is a vast area and therefore contributes to a variety of Riesling types. Hopefully we will be able to put our Rieslings on the map, both Australia-wide and world-wide. Just wondering – are we able to use your picture above in any of our newsletters? Hope you have enjoyed the rest of your trip down-under and look forward to seeing you on your next trip! Best wishes from Howard Park Wines from Mt Barker and the Porongorups.